Mumbai based Mahindra Group plans to invest one percent of the group’s net profit in educational initiatives as part of the group’s corporate social responsibility initiatives. 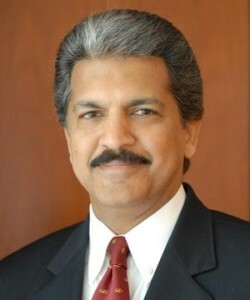 This was announced by Ananda Mahindra, Chairman and Managing Director of Mahindra Group. He said with companies required to spend two per cent of their net profit on corporate social responsibility (CSR) initiatives, the amount the group invests in education activities will go up substantially. “The amount we invest in education would go up substantially as the law requires us to set aside two per cent for CSR activities and this is the first year in which we are now deciding how to allocate these funds,” Mahindra said. The spending on education initiatives from the group would amount to around 47 crore a year considering the group’s consolidated profit after tax (after deducting minority interests) for 2013-14 is Rs 4667 crore as compared to Rs 4099.2 crore in the previous year– a growth of 13.8 per cent.